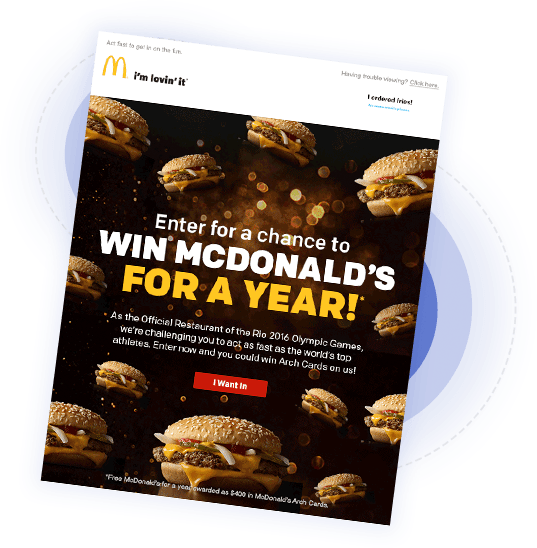 Like many others, McDonald’s had an aggressive email acquisition target and understood the importance of strengthening consumer relationships with data. 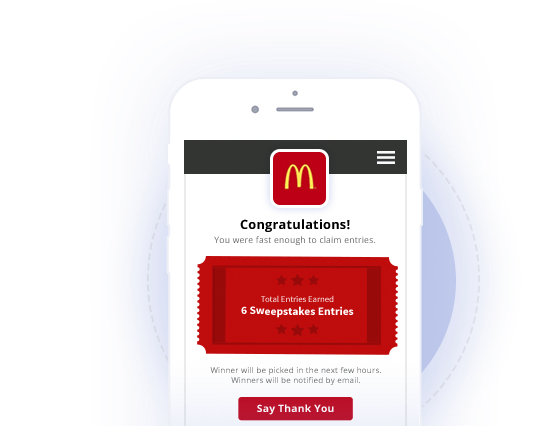 As part of their evergreen email acquisition strategy, McDonald’s leveraged the Quikly platform to motivate consumer participation, capture email opt-ins for their brand, and answer a series of seven profile questions to strengthen the consumer relationship. 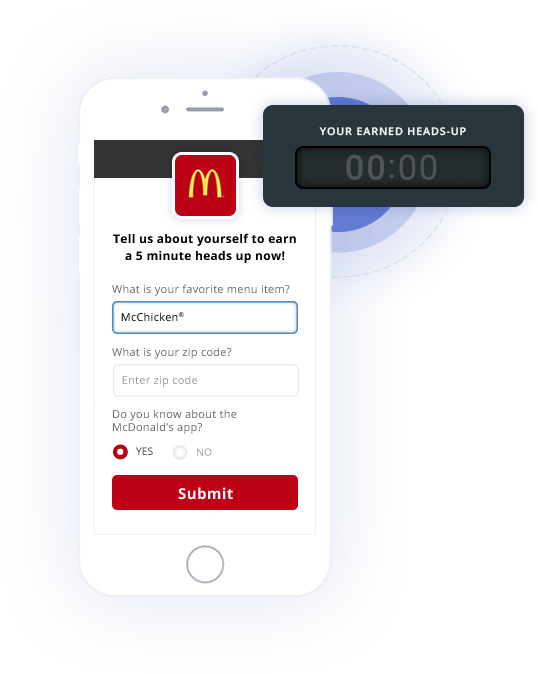 Multiple releases occurred over the course of one month to drive consumer participation and continued captivation, which allowed McDonald’s to maximize results against their KPI. 60% of participants will take action to 'earn time' by answering survey questions, joining an email database, or referring friends into a brand's campaign.